Last night was a lot of fun, and filled with a variety of interesting beverages. We started out at Drinks Over Dearborn, where we were pouring some cocktails and talking about our distillery. Even though it was very cold & snowy, some really great people came out and it was a blast. Toward the end of the tasting, Winston, the Midwest brand ambassador for The Glenlivet came in. He was a lot of fun, and he also had brought a treat for Kyle, the owner of DoD - a sample of Glenlivet XXV. Winston graciously allowed us to try it as well. Some parts of the whiskey spend time in sherry casks, and it shows in a good way. Here are my notes: nuanced, enticing aroma; drier on the palate than the aroma suggests; rich, with well-balanced spice tones and a long finish of wood with hints of peat & caramel. Mid palate - vanilla, creamy, citrus peel. Lovely, and a nice treat on a cold day. I'm not sure I'd come up with $350 to buy it, but I really enjoyed it. Thanks Winston! We'd been hearing about this new cocktail lounge and music space for awhile, but hadn't yet made it over there. When we arrived, it was packed - luckily we found one seat at the bar and staked it out. Turns out we had the best seat for a cocktail nerd like me - their resident mixologist Paul made most of the drinks right there. Paul was incredibly busy taking care of the crowd, but also a lot of fun and very attentive to his craft. We tried a couple of his cocktails, including the Red Hook (Old Overholt, Punt e Mes and Maraschino) and the Cardinal's Blessing (Matusalem Rum, Yellow Chartreuse and Cherry Brandy). Both were well balanced, complex and delicious. We sipped and listened to tunes by Matt Ulery's Loom (great, and an interesting mix of instruments - Matt on bass, with friends on accordion, trumpet/flugelhorn, drums and tenor sax). At one point, some gentlemen came in and ordered a drink called the Golden Eel. One proudly declared that it was "off the menu" and a very special drink that they loved. I watched Paul make it, and he grabbed three things - gin, sweet vermouth and Jeppson's Malört. Later Paul mentioned that these guys were the only ones who ever ordered it, and that they used to drink Malört all by itself. Malört is a Chicago thing, I've never seen or heard of it anywhere but here. It used to be made here, but now is made in Florida (do they drink this stuff down there?). And here's the gist of their marketing pitch - "Are you man enough to handle our two-fisted liquor?" And then they go on to say "Only 1 in 49 men will have a second sip" or something like that. Definitely targeted at a certain group of men, and needless to say, they are out there. Malört is incredibly, incredibly bitter. More bitter than Campari, I realized (read on). I have had it one other time - I asked about it at a bar one time and they tried to talk me out of ordering it. They told me that when people come in and rudely demand their free birthday drink, that's what they pour. Undeterred, I tried it anyway. It struck me as very bitter, but that was about it. I seem to recall having a bit of fun with my companions that night, getting them to taste it without forewarning them, or something like that. Wow was this bitter. More bitter than any Negroni I've ever had, and missing the good qualities of Campari. Paul graciously offered to take it away post haste, but since I knew what I was getting into when I ordered it, I wasn't going to let him do that. Instead, I asked him to add some soda water. And then some more soda water. That helped, really more of an Americano, but missing some of the flavor (but none of the bitter). Unless you're the 1 in 49, I wouldn't recommend that drink, but try one of Paul's other creations. Then it was off to Kuma's Corner for some burgers. Our good friends Shelley & Rob invited us over for Burns Night on Saturday, January 25th. As before, it was a night of great conversations, great food (and yes there was haggis), and lots of Scotch. Last year, I made the Blood & Sand and the Robert Burns Cocktail. This year, the expected crowd was larger, and I decided to search for something even more accessible to make with Scotch. I figured those who like Scotch will just drink Scotch, so I was trying to offer something for those who aren't so sure. Luckily, Paul Clarke over at Cocktail Chronicles posted a Scotch-based drink for Mixology Monday this month. I tried it out, it was great, so I went with it. Ginger-honey syrup: combine equal parts honey and water in a saucepan over medium heat and whisk until well combined. Add an ounce or so of peeled, sliced fresh ginger for each cup of liquid and bring to boil; reduce heat and simmer for 10 minutes. Allow to cool completely; strain. Compass Box Asyla - we actually brought this one. It was a very nice, light blend - a good starter Scotch, with a balance of fruity & earthy notes and just a hit of peat. Buchanan De Luxe 12 year - another nice blend. Shelley & Rob advised that the bottle had been open for several years, but it was still a standout - sweet and spicy at the same time, with rich wood & peat undertones that lingered on the finish. Can't find a web page for this one, just a bunch of stores selling it. This month's Mixology Monday is hosted by The Scribe at A Mixed Dram, and the topic is New Horizons. "Try something new!" is the challenge. Hmm.... what to try, what to try. In perusing the overflow area from my liquor cabinets (does that sound bad? ), something beckoned. Which bottle, you say? Why it's that wooden box in the back, which was holding a lovely bottle of green Chartreuse VEP. This very special bottle was given to us by some friends many moons ago, but my wonderful hubby didn't want me to open it until I finished off my other bottles of Chartreuse. I do love Chartreuse, but many drinks and spirits are fighting for my attention most of the time, so I hadn't earned the right (according to the hubby) to open it yet. I figured this was my shot - I have played with everything else on the counter and in the cabinet, so why not open it for this month's MxMo? Luckily the hubby went for it. The website for Chartreuse VEP suggests sipping it after dinner, very cold. That was of course delightful. But that wasn't nearly enough experimentation. Although it's hard to imagine, the VEP is even more complex than the regular green Chartreuse, with menthol undertones and rich, complex spices. Off I went to find some new cocktails to make with Chartreuse. Unfortunately I did not find the Chartreuse's official website much help, I wasn't really looking to make a Screaming Lizard (with tequila) or a Jungle (with pineapple juice!?). So I went into my old cocktail books and to peruse some of my favorite blogs and websites for ideas. The first recipe I tried was the Jewel Cocktail (aka the Bijou). This is an oldie but a goodie, and at least two bloggers have discussed this one recently. I have never had one, so it was new to me. I made the recipe several ways - with both regular green Chartreuse and with the VEP, and with two different styles of gin. The clear winner was with the regular green Chartreuse, and our Distiller's Gin No. 6 (over our No. 11). This was a very nice, nuanced cocktail - definitely a sipper. Interestingly, I think our gin was the cheapest ingredient in this one, so the version with the VEP is also one of the more expensive cocktails I've made. I also made a very similar recipe called the Emerald Cocktail that I found on cocktaildb.com (which is mysteriously down today) - this one has slightly more gin. This was the favorite version among our our informal tasting panel. Stir with ice, strain into cocktail glass. Garnish with a cherry and lemon twist. Shake ingredients with ice, strain into cocktail glass. Garnish with lemon twist if desired. Note: I reduced the amount of lemon juice slightly - it was 1/2 oz in the original recipe - and the cocktail was much more balanced. Might be my lemons or the time of the year, so be prepared to tweak the lemon juice. I found this one on cocktaildb.com as well, and can't seem to find much info on it - anyone know anything about it? Well, I'm off to make some more Chartreuse cocktails - thanks to The Scribe for hosting MxMo this month and for the fun idea! A variety of things have come out in the last week or so that I thought might be of interest, at least to my readers in Chicagoland. I've got some updates on what's happening in our bartenders guild chapter, as well as an interesting update from the TTB about some settlements reached with Chicago-distributors for alleged violations of federal liquor laws. Last week, we had the first Chicago USBG chapter meeting of the year, as well as the first informal mixology competition. This was a great opportunity to reconnect with friends in the chapter, and also hear about the goings on. Bridget Albert developed some cocktails that will be served at one of the inagural balls tomorrow night, and she was asked to go to DC to oversee the bars at the event. Congratulations Bridget! The USBG is implementing a more formal certification program, somewhat similar to the Master Sommelier program. The roll out starts this year, and formal testing will be required to advance to the various levels. There are some great cocktail competitions coming up, and many of our members will be participating. Chicago is hoping to increase our presence in the national and global scene in the coming year. Peter Vestinos has won a couple of competitions recently, and a newcomer, Zack, won the informal competition after the meeting (sorry, I didn't get his photo - the photo at right is another member, Benjamin from In Fine Spirits). As most people who spend any amount of time in Chicago come to realize, many things are a bit crooked here. This week, a press release came out from the TTB, which is the federal agency that regulates the manufacture, distribution and sale of alcoholic beverages on the federal level. It seems they imposed fines on all of the big distributors in Chicago, as well as several of the smaller ones, to settle alleged trade practice violations. Interesting, although somehow I don't think $800k collectively is that much to these companies, and I wonder if it's really much of a deterrent to future violations. It's officially the 8th day of the new year, and I still haven't managed to get a post up on this blog. Until now, that is! 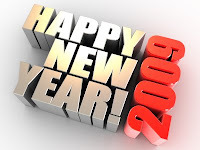 First, let me wish everyone a very happy 2009. Let's hope this year brings us all great things, especially a better economy. It's kinda rough out there! I will participate in every Mixology Monday in 2009, and try to blog more regularly - aiming for one post a week at least. I may expand the sphere of topics a bit - anyone have an opinion on me writing more about the spirits business occasionally? I will try at least one new cocktail recipe from my library of classic cocktail books per month and blog about it. I have fallen into a rut of drinking favorite cocktails, which means there isn't much to write about there. I'm not taking on a project like Erik Ellestad's Stomping Through the Savoy or anything, so hopefully I can keep up with it. Bridget Albert, the fearless President of Illinois USBG, Master Mixologist for Southern Wine & Spirits and all-around nice woman, has some news - one of her cocktail creations, The American Dream, is going to be served at the Inaguration Ball later this month in DC. Congratulations to Bridget! Chicago LUPEC's Repeal Day celebrations were fantastic - you can read all about them over on their blog. I hear the chapter is already planning for this year's celebration, along with more great cocktail discussions (parties). The Madison Malt Society is sponsoring a big American spirits tasting event in Madison next month (Thursday, Feb. 19th). If you're in the area and want to go, get in touch and I'll send you the details on tickets, etc.